Lexie Cannes in Seattle, March 31st. THE GUERRILLA ANGEL REPORT — I hinted about this earlier but the official date/time wasn’t decided until recently. It’s part of the SEATTLE DEAF FILM FESTIVAL which will be taking place at the University of Washington. If you’re in the Seattle area and know of people who’d be interested in either the transgender, lesbian or deaf aspect of this film, feel free to pass the word along. 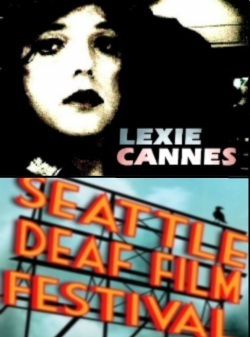 As an additional bonus, the transgender/deaf documentary “Austin Unbound” will be shown along with “Lexie Cannes” — two films for the price of one. Trans man Austin Richey, the subject of the documentary has a role in “Lexie Cannes” as well. 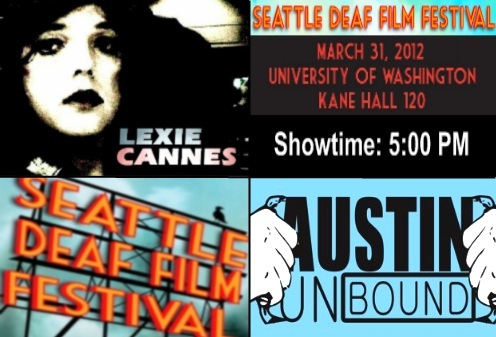 Lexie Cannes and Austin Unbound to show in Seattle on March 31st.